The integrated financial solutions provider Arvato Financial Solutionsi (AFS) intends to hire 30 new senior IT developers for its innovation and development center in Tallinn in the coming few months, thereby increasing its team here to 100, informed LETA/BNS. On Thursday, Rolf Hellermann, CEO of Arvato, opened a new office of the company in the Telliskivi area of Tallinn. The opening also signaled the establishment of the Arvato innovation and development center in Tallinn as a standalone company of AFS group, the company said. The innovation and development center mainly focuses on the development of novel payment solutions for online stores. In addition, a cybersecurity team established last year is working in Tallinn to prevent, identify and respond to cybersecurity related incidents and ensure regulatory compliance of processes. 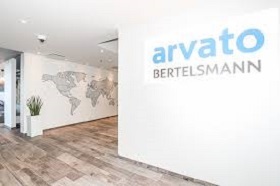 Arvato Financial Solutions is an international provider of financial solutions and a company of Bertelsmann Group. The company employs a workforce of over 7,000 people in 22 countries and manages approximately 10,000 customers, specializing primarily in the retail and e-commerce, telecommunications, insurance, banking and healthcare sectors.